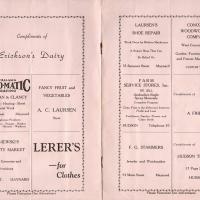 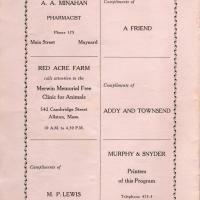 The program for the senior play at Stow Town Hall. 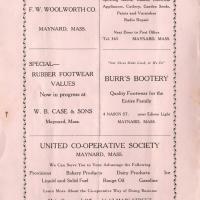 Of interest is the many Maynard merchants who sponsored the event. 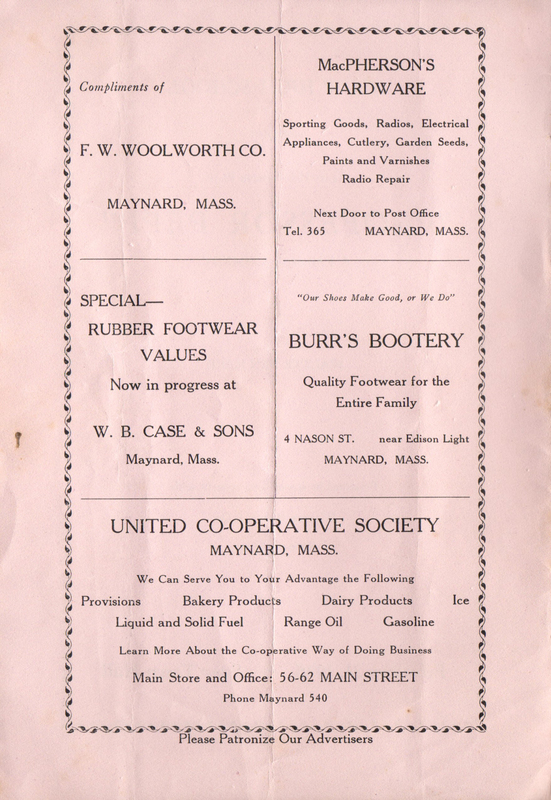 Eight page, 6 x 9 in. 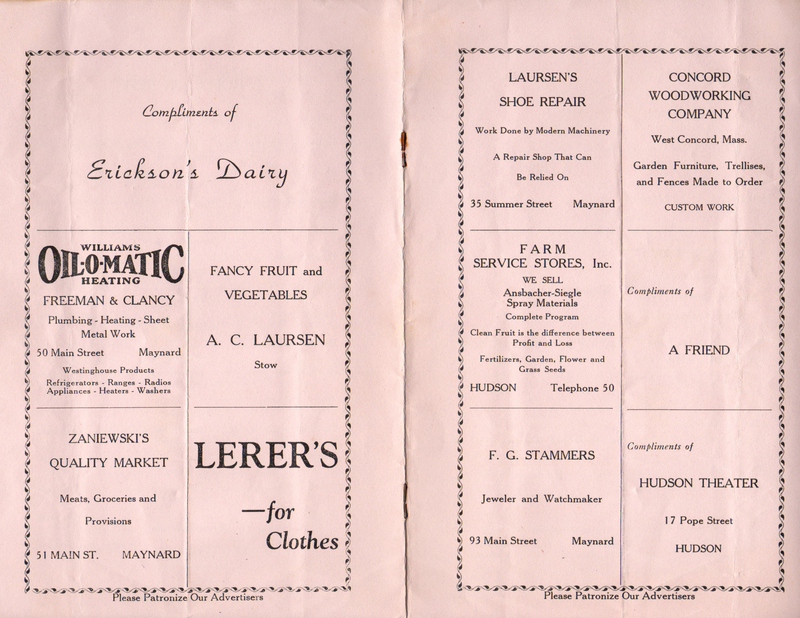 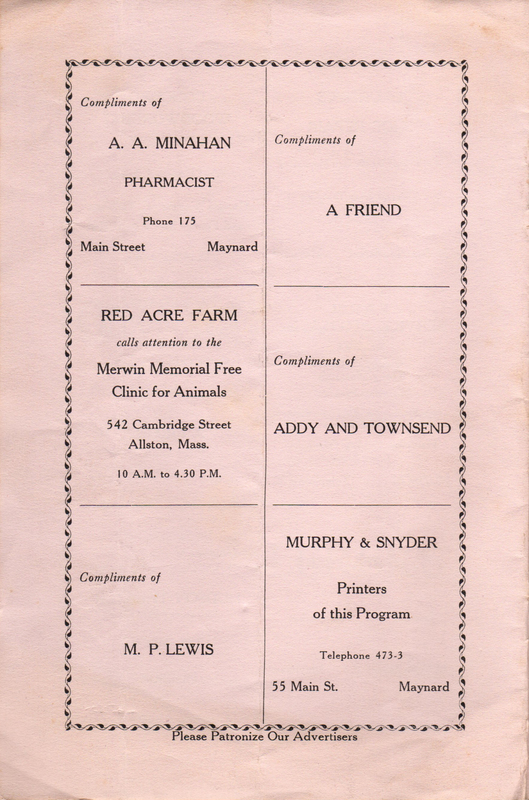 paper program. 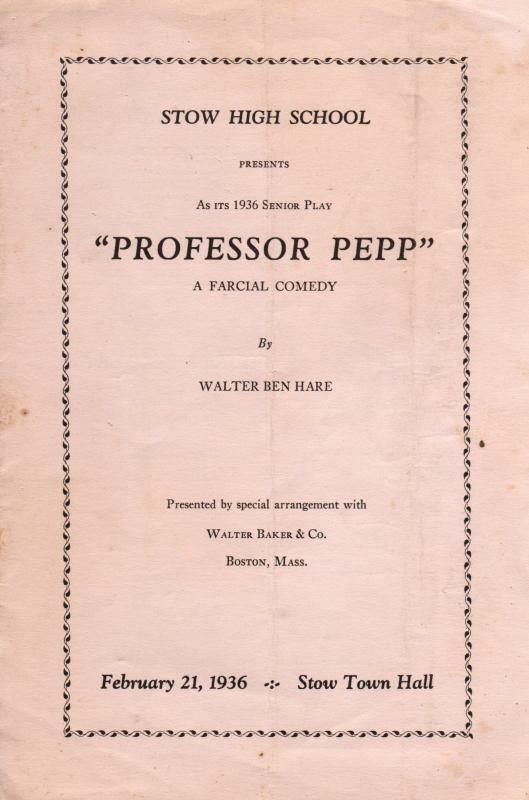 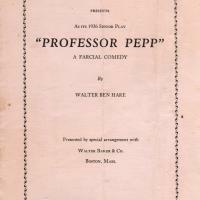 “Stow High School Senior Play - 1936 "Professor Pepp",” Maynard Historical Society Archives, accessed April 23, 2019, http://collection.maynardhistory.org/items/show/5765.